Drawn from various sources and updated frequently by our editorial team, the Election Integrity News is a compilation of the latest developments in the area of election integrity. That means stories covering everything from the administration of elections, the security of the vote, voter suppression, gerrymandering, money in politics, and much more. If a story catches your eye that you think would make for an interesting item, send it to us at FairElectionTips@whowhatwhy.org. This week in election integrity, 2019 continues much the same as 2018 left off: Wisconsin state assemblyman refuses to make public legal documents, despite his legal obligation to do so, House Democrats introduced a massive voting rights bill likely to fail in the Senate, and politicians in the Congo exercise voter suppression the GOP could only dream of. Despite a nonfunctional government, House Democrats are, finally, proposing legislation to address the pitiful state of voting rights nationwide. On Friday January 4, Speaker Nancy Pelosi introduce a new bill called the “For the People Act” that addresses a whole host of issues: voter registration, paper ballots, voting rights restoration, financial disclosures, and gerrymandering, among others. Few are optimistic that the bill will ultimately come to fruition, given a Republican-controlled Senate — Georgia especially is paying close attention. Moreover, some wonder whether the Democrats will follow through on their promises to “clean-up” Washington, or fall just short of action. Another Wisconsin politician thinks he’s above the law — to the surprise of few but outrage of many. Taxpayers are footing the bill for a legal contract that Assembly Speaker Robin Vos (R-63) refuses to make public. The $850,000 contract with Chicago-based law firm Barlitt-Beck concerns the legal battle over the state’s district maps. The original maps and resulting lawsuits have already cost taxpayers some $2 million dollars. Keeping the current contract from public view violates a state law that requires government records be publically available, open records advocates say. To no surprise, conservatives disagree, citing attorney-client privilege as reason enough to keep the legal contract private. But all of this looks like small potatoes relative to the mess of an election in the Congo. First, arsonists set fire to some 7,000 voting machines — or 70% of the machines slated for use in Kinshasa, the capital. The fire occurred just before an historic election that many thought would be the first democratic transition of power in the nation’s history. Then came election day — two years after it was originally scheduled — when voters were met with missing or broken machines, no voter rolls, and by many accounts, election workers barring citizens from voting. Then officials postponed voting in three cities until March thanks to an Ebola outbreak. The hitch? The election is decided in January, so the votes of some 1.2 million people won’t count. Elsewhere, politics and voting in Florida are still a mess. Congress swears in Rep. Debbie Wasserman-Schultz (D) despite doubts about the reliability of those election results. And despite widespread support for Amendment 4, formerly convicted felons in Florida could face roadblocks in restoring their right to vote. The state legislature intends to review the law in its next session, which could jeopardize voting rights once again. The ACLU sees such review, of a law a majority of voters approved, as wholly unnecessary. But where Florida continues its efforts to make voting more difficult, Minnesota proposes opening up access to the ballot box through a handful of proposals, including automatic voter registration and voting rights restoration. Also on the table is a requirement that Minnesotans vote by mail in the 2020 presidential primary. And in Louisiana, lawmakers underestimated just how many people might get their voting rights restored thanks to confusing language in the law. While exciting, it could delay implementation as lawmakers figure out the details. During and after the midterms, WhoWhatWhy’s election integrity team decided to focus its efforts on writing features, running investigations, and digging into the chaos and confusion of audits, recounts, and more. We sidelined the feed for a few weeks, but now we’re back with weekly updates on the latest news from across the nation. This week in election integrity: the scandal in North Carolina’s 9th district edges towards a new election, under bipartisan pressure Democrats in New Jersey abandoned a plan that would have embraced gerrymandering, and a Pennsylvania watchdog group is offering cash prizes for locals with ideas about how to fix the state’s district maps. More than a month after the midterm elections, voters in North Carolina’s 9th district await a certified election result. But thanks to a remarkable case of election fraud, conclusive results are a long way off — and may result in a wholly new election. The race between Democrat Dan McCready and Republican Mark Harris was always going to be a nailbiter, but few could have predicted the current degree of chaos. The North Carolina State Board of Elections will not certify election results — Harris leads by 905 votes — thanks to multiple allegations of potential fraud involving mail-in and absentee ballots. Some voters report “officials” collecting unsealed absentee ballots from their homes; others say they were sent absentee ballots they had not requested. To make matters worse, a handful of people admitted that they were paid by a Republican operative working for Harris to collect absentee ballots, which is illegal in most circumstances. Now, the State Board of Elections and Ethics Enforcement is considering calling a new election. This week, the state legislature passed a bill providing for a fully new election, primaries and all. A fresh Republican runoff could push Harris out of the running altogether. Republican leadership has admitted to some wrongdoing, but stands behind Harris as its candidate. Meanwhile, in New Jersey, Democrats put a quick and unexpected end to a scandal of their own. State senators abandoned a vote on a proposal that would have entrenched gerrymandering into the state constitution. Resistance was forceful across the board. State Senate Republicans didn’t support the bill, nor did Governor Philip Murphy (D). A handful of grassroots organizations came out against the plan, too. Many worried that such a strong push in favor of gerrymandering undercuts the party’s legitimacy to criticize or call out Republican efforts at similar practices. The bipartisan backlash pushed Jersey Democrats to dial back from the plan and evaluate public feedback. The plan isn’t scrapped for good: it could reappear in a 2019 legislative session or on the 2020 ballot. Pennsylvania’s district maps are back in the news: this time, advocates have designed a competition to collect input from residents on how to best to redraw the lines. The political watchdog group Committee of Seventy has launched a statewide competition, Draw the Lines PA, with the support of local nonprofits. The organizers intend to continue running the Draw the Lines PA competition every six months until the state redraws its district maps. The state Supreme Court ruled the current maps an illegal gerrymander earlier this year. The competition is both a tool for civic engagement and a resource for lawmakers as they face the task of making new maps. The president and CEO of the Committee of Seventy will chair the statewide redistricting commission, and intends to bring the citizen maps to the table. Elsewhere, Georgia still hasn’t found a way to move forward on replacing its voting machines, despite conversations, debates, and clear evidence of problems. Finally, conservative politicians are scrambling to dilute the power of a number of progressive ballot initiatives that passed in the midterm elections, among them voting rights restoration in Florida. And the California Democrats that unseated incumbent Republicans in the midterm elections did so by and large thanks to waves of out-of-district cash, an investigation found. This week in election integrity: With the midterms upon us, state election systems have a software problem, last-minute PACs are funneling millions to progressive candidates, and voter purges continue largely unabated across the South. Voter registration in Kentucky and vote-counting in Wisconsin could be vulnerable to hacking, new reporting from ProPublica demonstrates. Both systems ran software that used an “FTP” service, which can provide public, unencrypted access to files. The file transfer service — which doesn’t require a password — could provide a means for hackers to access information and files. ProPublica found that the service in Wisconsin was accessible from an internet address based in Russia; in Kentucky, from elsewhere in Eastern Europe. Wisconsin has since stopped using the FTP following inquiries from the publication; Kentucky has made no adjustments. Experts note that FTPs are outdated and definitely not secure. Without central oversight of election infrastructure, it’s up to individual states to evaluate the risks. And even with a degree of federal oversight, progressive donors have figured out how to game the system and take advantage of hundreds of thousands of dollars in last-minute campaign spending. Several PACs waited until after October 18 to form and start spending big. The delay means they don’t have to report their donors until well after Election Day. It’s a strategy to spend without the public knowing where the cash is coming from. Much of the money is going to support progressive candidates –– often through independent expenditures –– who have decried the use of such “dark money” funding sources. An investigation from the Center for Public Integrity found three such PACs have formed and spent money in the past two weeks. Meanwhile, purges continue to plague voters nationwide. It’s particularly bad in the South, where election officials are removing voters from the rolls at twice the rate of a decade ago. A single Republican challenged the registrations of some 4,000 Texans. Election officials suspended almost half of those registrations. The affected voters will now have to cast a provisional ballot, subject to review by a partisan committee. But purges are widespread. With roots in 19th century efforts to keep African Americans from voting, they still have a disproportionate effect on people of color, who often vote democratic. Overwhelmed by the abundance of efforts to suppress the vote, some are focusing instead on strategies to bring more voters into the fold. On their agenda? Automatic voter registration, independent redistricting, and voting rights restoration for felons. In many states, voters will decide on one or more of these issues. But security issues still rumble beneath the surface, and this week’s election may well be a testing ground for foreign actors seeking to iron out any kinks in potential interference strategies before the 2020 presidential election. And a majority of Americans are quite concerned, suggests new research from Pew. Like an NPR/Marist poll from September, these numbers show a stark partisan divide: Democrats are concerned about access issues, too — less so with conservative voters. The War on Voting Rights: Will Your Ballot Count? Double-Check Your Ballot. Some North Carolina Voters Say the Machines Changed Their Choices. We Should See a Massive Jump in Voter Turnout This Year. Here’s One Reason Why. This week in election integrity: early voting gets off to a messy start, what secretaries of state can do for the Democrats, and a Kansas town loses its only polling place. North Carolina joins Georgia and Tennessee in a rough roll-out for early voting. The Republican-controlled state legislature voted to close almost 20 percent of early voting sites in the state. Estimates suggest some 60 percent of North Carolinians vote early. The new law requires election officials to keep polling sites open from 7am to 7pm every day, where previously each county could determine its own hours of operation. The 12-hour days have put stress on local resources — many election officials have compensated by reducing the number of early voting sites. Republicans claim the law clarifies the rules for voters. Meanwhile, voters in Georgia and Tennessee turned out in droves for the first day of early voting last week. Many suffered hours-long lines at under-resourced polling locations across Georgia — some of which have seen a 200 percent increase in turnout compared to the last gubernatorial election. In Tennessee, equipment failures plagued the first day of early voting, where turnout was also substantially higher than any one had prepared for. And in Dodge City, Kansas access to the ballot box plummets from bad to worse. The some 13,000 voters who live in the rural town west of Wichita have relied on a single polling place for years. Now, election officials have decided to relocate it just weeks before the midterm elections. Some 60 percent of Dodge City residents are Latino — it is one of the only majority-minority cities in Kansas. While the wheels of voter suppression continue to turn, Democrats are focusing on an often overlooked position: secretary of state. The position carries little of the political clout of representative office. But as the chief election officer, the secretary of state oversees voting processes and procedures, and currently, Republicans hold the office in 29 states. Given the current climate, a shift in leadership could be pivotal for voting rights. Elsewhere, a conservative political ad campaign in Washington State seems designed to confuse voters. Distributed by a conservative political action committee called “Conscience of Progressives,” the mailer encourages voters in Washington’s 19th District not to vote for the current Democratic candidate, Erin Frasier, but to write in the name of a previous opponent to incumbent Jim Walsh (R-Aberdeen). The race is hotly contested. Florida is struggling to manage election infrastructure in the wake of Hurricane Michael. A Kentucky paper delivers a straightforward take on the motivation behind the state’s strict voting laws: to keep people from voting. And while activists in North Dakota are pulling out all the stops to reduce the weight of the state’s voter ID law on Native American communities, actor and former governor of California Arnold Schwarzenegger throws resources behind the fight to end partisan gerrymandering. Voter Suppression Efforts Are Increasing Across America. It’s Time for a New Voting Rights Act. This week in election integrity: Court sort of intervenes on voter ID in Missouri, California reels at the prospect of a citizenship question on the census, and a Texas campaign worker gets arrested for doing his job. A lawsuit over Missouri’s voter ID law came to a head this week in circuit court. Though judge Richard Callahan upheld the law, he struck down one key provision that requires voters without adequate identification to sign a document affirming their identity under penalty of perjury. The original lawsuit argued that this requirement is both confusing and threatening. Callahan agreed, writing in his opinion that the requirement “impermissibly infringes on a citizen’s right to vote as guaranteed under the Missouri Constitution.” Missourians still need an ID to cast a ballot — this ruling just prevents voters without ID from risking accusations of perjury. Already, though, Attorney General Josh Hawley is prepared to fight back: His office announced it would file an appeal in the coming weeks. California could be at risk of losing a seat in the House of Representatives if the Trump administration is successful in including a citizenship question on the 2020 census, a new report from the Public Policy Institute suggests. New emails reviewed by the Washington Post suggest a clear intention from Republican officials to put one of California’s seats in jeopardy. The Census hasn’t inquired about citizenship status since 1950. Many worry it will prevent people living in the state from responding at all for fear of repercussions. Alongside a handful of other states, California has filed a lawsuit to prevent the inclusion of a citizenship question. If enough people declined to participate in the survey, it could mean a significant undercount of the statewide population, which determines representation in the House. In Texas, a campaign worker was arrested while working to register students to vote. A county clerk called the police when Jacob Aronowitz, the campaign worker, snapped her picture. He was handing over a letter that requested election officials update the voter registrations for students at Prairie View A&M, a historically black university. Previously, students at the university had been instructed to register with the university address because they don’t have personal mailboxes on campus. But then, election officials realized that the university fell outside the precinct in which the students had registered. Students were allowed to vote in the primary, but the local election office asked them to individually update their registrations. The letter Aronowitz, who works for the Democratic Congressional candidate Mike Siegel, had in hand asked that the county manage the update to the registrations, rather than students on a case-by-case basis. Reportedly, the cops asked which party Aronowitz worked for before booking him. Thousands of registrations could be in jeopardy if the county doesn’t update the students’ addresses. Elsewhere, Georgia moves from bad to worse. A new investigation discovered that election officials had placed “holds” on tens of thousands of voter registrations. Secretary of State Brian Kemp is running for governor against Stacey Abrams, who is vying to become the first black female governor in the nation. In the wake of several election-related scandals, some question Kemp’s role. As the chief election officer in the state, he is, in a sense, overseeing his own election. This week in election integrity: Maryland judges push for independent redistricting, while Georgia purges voters by the hundreds of thousands and brings paper ballots to federal court. Georgia came under fire after records revealed election officials had removed 700,000 voters from the rolls. Secretary of State Brian Kemp (R) reportedly oversaw the process. Kemp is running for governor against Stacey Abrams, the first black woman to win a Georgia primary for that position. Several voting rights groups filed a lawsuit last week. The secretary of state’s office failed to notify voters that their names had been removed from the registration rolls. In June, the Supreme Court decided a case that greenlit such purges, which supporters of these measures claim protect elections from supposed voter fraud. Meanwhile, activists in Georgia took to federal court a revised version of their case for using paper ballots statewide in the November elections. Last month, a local judge rejected their proposal for a wholesale transition to paper ballots. The new case proposes simpler changes like implementing audits and letting counties decide independently if they want to transition to paper. Also in federal court, a three-judge panel proposed that Maryland remove politicians from the redistricting process. The suggestion echoes the demands of several organizations nationwide that want to see independent redistricting commissions. The maps in Maryland and Wisconsin were the subject of an undecided Supreme Court case in June. No changes have been made to the district lines since the cases were initially filed — and nothing is likely to shift before the November elections. Elsewhere, election officials, techies, and politicos concur that little will be done to improve election security in advance of the upcoming midterm elections. Between a lack of federal funding and the bureaucracy of managing infrastructure on a county-by-county basis, some experts think we might not even see significant change before the 2020 presidential election. And in several states, organizations are turning toward ballot initiatives to address a host of election integrity issues — from gerrymandering to Election Day voter registration to campaign finance. Some see ballot initiatives as a means to push beyond partisan politics, address key issues, and maybe get more people to show up to vote. Why Does the White House Suddenly Care About Election Interference? This week in election integrity: Election equipment vendors are up to no good, and have been for some time. So who should shell out to fix the problem … besides the voters who pay the price at the ballot box? The greater threat to cybersecurity in the United States may well be an old homegrown problem: consolidation and deregulation. A handful of companies manufacture most of the voting machines that counties nationwide use to cast or tabulate ballots. And the industry — which brings in about $300 million dollars a year — operates by and large without oversight. Congress has repeatedly failed to legislate on the issue. As a result, little has changed since the 2016 elections. Most voters will cast their ballot on machines with fundamental vulnerabilities, an issue that a new report highlights. The opportunities for intrusion or manipulation are numerous. Despite knowledge and evidence of the issues, in some cases dating back ten years, nothing has been done to improve some equipment. A team of researchers involved with the Voting Village at this year’s DEFCON conference in Las Vegas coordinated the report. Reportedly, neither election equipment vendors nor the National Association of Secretaries of State is particularly happy with the study’s findings. Some hope, though, that the evidence might push Congress to, finally, do something. Georgia’s election infrastructure illustrates many of the issues endemic on a national level: electronic machines that don’t keep a paper record, rendering audits impossible, a lack of transparency, and voter suppression. A district judge recently shot down a move to switch to paper ballots for the midterm elections — now people are asking who should pay to address the critical problems the state faces. Many are pushing the state to cover costs of new equipment and poll worker training, rather than dumping the burden on local jurisdictions. Elsewhere, the ACLU found that 36 counties in Texas may be in violation of the Voting Rights Act for failing to provide ballots in English and Spanish — an issue that isn’t unique to the state. Virginia election officials report an uptick in voter registration, perhaps thanks to aggressive on-the-ground efforts from the NAACP. And you can now purchase a necklace to fund the fight against racial and partisan gerrymandering — call it an independent expenditure. This week in election integrity: Paper ballots go up in smoke in Georgia, vote-by-mail falls short, and Band-aid solutions for cybersecurity. Activists want paper ballots in Georgia. The courts don’t. A federal judge ruled this week that the state won’t have to switch to paper ballots in advance of the 2018 midterm elections, now a matter of weeks away. Georgia is one of four states that uses direct record electronic voting machines, or DREs. The machines don’t keep a record of ballots cast, making it impossible to accurately audit election results. The security of the state’s registration rolls and voting equipment itself has come under fire this year. Local organizations sued the state to switch to paper ballots and paper audits for the midterms. Though sympathetic to the arguments about vulnerability, particularly in light of the threat of foreign interference, the court decided that a last-minute switch would risk causing chaos and confusion at the ballot box. But even paper has its problems. Vote-by-mail might not be the worry-free solution to Election Day woes after all. A new study from the Florida chapter of the ACLU found a host of issues across the state. Overall, election officials reject vote-by-mail ballots at a rate that is ten times higher than that for ballots cast in person at early voting sites or on Election Day. That has put over 20,000 votes in jeopardy in past elections. Often, officials reject ballots because of a mismatched signature or unsigned ballot. In Florida, they don’t necessarily have to give voters the opportunity to address any issues. Earlier this year, California ruled that election officials must notify people before tossing out their vote-by-mail ballots, a move that some support in Florida, too. Local boards of election manage their own incoming vote-by-mail ballots — and practices are not uniform across the state. As a result, the rates differ substantially county-to-county. Moreover, the report found that vote-by-mail ballots cast by young voters and African American voters appear more likely to face rejection. Election security experts have spoken to the risks of digital voting equipment as states began to adopt new voting technologies over the past 15 years. Now, people are paying close attention. The New York Times took an in-depth look at what the issues are, and how states and localities might think about addressing security in both the short and long-term. Much of the voting equipment in use nationwide is vulnerable to cyber attack or manipulation; some machines don’t keep any record of votes cast, making audits impossible. There isn’t much consensus about what to do next: replacing voting equipment costs money and takes time. Meanwhile, voters keep voting using vulnerable machines. Security experts warn that a false sense of security permeates the system and has weakened election infrastructure across the board. One expert says that a quick fix in many states could be to address how they use modems — which are relatively easy to target — to transmit information about votes cast. Elsewhere, voter purges are (still) on the rise in response to the unsubstantiated threat of voter fraud. A handful of “chief architects” continue their crusade, despite little evidence of an actual problem. Still in Florida, Governor Rick Scott (R) wants to appoint state supreme court justices before his term runs out in January. Voting rights groups have sued out, as many expected they would given Gov. Scott’s record on the issues. And Arizona won’t be sending out voter registration mailers. A US District judge rejected a request that would have forced the secretary of state to send out information to thousands of voters whose registrations may be out-of-date. Can Georgia’s Electronic Voting Machines Be Trusted? This week in election integrity: Chief Justice Roberts protects dark money, reported voter suppression in New York’s primaries, and Wisconsin Democrats sue over partisan maps, again. Many voters arrived at the ballot box in New York State last Thursday, only to find that their names were no longer on the voter registration rolls. This is not the first instance of widespread surprise on Election Day in the Empire State. The state has a deep history of deploying tactics to make it harder for people to vote — among them one of the earliest registration deadlines nationwide and a complex primary system. Just two years ago, advocates sued the state for purging 120,000 Brooklyn voters from the rolls in the 2016 election. The problem is part logistics — New York struggles to maintain both digital and paper registration records — but also a reflection of the lack of political mobility on the issues. The state assembly has failed to enact the New York Votes Act, which includes practices like automatic voter registration and same-day registration. Chief Justice John Roberts halted a ruling that would have required greater transparency in campaign finance — a move that demonstrates the Supreme Court’s continued commitment to protecting financial influence in politics. At issue is a provision in FEC regulations that protects the identity of donors who make anonymous contributions to groups that make independent expenditures on the behalf of a campaign. A three-judge panel at a district court in Washington, DC, ruled against the regulation in a case filed by Citizens for Responsibility and Ethics in Washington. The group filed a lawsuit against Karl Rove’s Crossroads GPS, which has kept many of its donors a secret. Whether further discussions on the matter will continue before the midterm elections remains unclear. In lower courts, Wisconsin Democrats have filed two new lawsuits related to the state’s district maps. Following the Supreme Court’s punt on gerrymandering in its June 2018 session, many hope the new cases might produce a definitive legal outcome before both the 2020 presidential election and the decennial redistricting process. Given the pace of court proceedings, few expect results in advance of the November ballot. Elsewhere, Georgia’s electronic voting machines, the kind that produce no paper record of ballots cast, are still under fire weeks before the election. A federal judge is currently considering whether or not the state ought to return to tried-and-true paper ballots for the midterms, a move Secretary of State Brian Kemp — who is running for governor in the election at issue — does not support. Then, in the latest instance of Koch money showing up in unexpected places, a group backed by the billionaires has come out in support of a ballot measure pushing for voter restoration for people with past felony convictions. And lastly, President Donald Trump’s executive order on election interference appears to gloss over the fundamental issues at stake, instead providing a “band-aid” solution with limited potential. This week in election integrity: ICE goes after voting records, Michigan maintains ban on straight-party voting, and Democrats begin to recognize the momentum behind voting rights issues. North Carolina made headlines again this week when the US Attorney’s Office of the Eastern District demanded election officials hand over a slew of voting records, reportedly at the request of Immigration and Customs Enforcement. The statewide office and 44 counties have been asked to hand over eight years of records — among them “executable ballots” that can be traced back to the individuals who cast them. Local election authorities don’t welcome the request, which demands a hefty amount of additional administrative work. Following an outcry from Democrats and voting rights activists, the prosecutors delayed the request until after the election. The courts had less sympathy in Michigan, where a several-years-long debate over straight-party voting came to a head. The US Supreme Court denied a request to keep the option on the November ballot. For much of its history, Michigan has allowed voters to vote for all candidates in a political party with the check of a single box. The Republican-led legislature passed a ban on the practice in 2015. Thanks to lengthy court battles that kept the option on the 2016 ballot, the November election will be the first time the ballots will not include a straight-party option. Advocates of the option claim this will cause mass confusion, slow down the voting process, and as with most changes to electoral process, have a disproportionate impact on African American voters. That ongoing onslaught of attempts to keep people from the ballot box, however, might be just the rallying cry that Democrats need to motivate voters. Traditionally the domain of non-partisan advocacy groups like Demos, Common Cause, the Campaign Legal Center, and others, voting rights may well be positioned to occupy the center stage of party politics. A new generation of organizations has embraced a partisan approach to talking about voting rights. Former Attorney General Eric Holder’s National Democratic Redistricting Committee is among the organizations working to mobilize voters around gerrymandering in particular — an issue whose effect outpaces the often sluggish legal process. By casting an end to gerrymandering as a progressive issue, the hope is to bring more voters out and shift the balance. Elsewhere, the California DMV fessed up to having sent as many as 23,000 inaccurate voter registration records to the Secretary of State’s office. The problem stems from entry errors on the part of technicians working there. The California DMV has been known of late for increasingly long lines and outdated technology. And panel of experts from the National Academies of Science, Engineering, and Mathematics issued a 156-page report outlining much-needed reforms to American election infrastructure. They agree with many advocates that the safest way to protect American elections is the oldest: paper ballots. Are We Making Elections Less Secure Just to Save Time? This week in election integrity: Inside shortcomings at the Election Assistance Commission, the fight over partisan redistricting in North Carolina, and what just happened with that election security bill. Republican legislators in North Carolina learned, again, this week that they can’t have their cake and eat it too — when a district court struck down their latest attempt to draw obviously partisan district maps in the state. Though it is certainly a battle won for democracy, the war is far from over. The state has yet to clarify if it will use the partisan maps in the upcoming midterm elections — now just two months away. If the court orders new maps, legislators will have a mere three weeks to draw the boundaries. But the invalidated maps have already defined several elections in North Carolina, and current representation reflects the district lines’ partisan intent, which is likely to have an impact on the upcoming election. Back in Washington, DC, elected officials skirted measures to address cybersecurity issues head-on, leaving many to ask: then who? The White House blocked the bipartisan Secure Elections Act, which would have boosted cybersecurity nationwide by encouraging increased communication and coordination between states and the federal government. The White House reportedly justified its actions by arguing that election infrastructure is the business of state and local bodies. Part of the problem could be the Election Assistance Commission itself. Created by the 2000 Help America Vote Act, the agency — built to handle issues like election security — has been fraught with conflict for years, constantly pulled between the partisan agendas of its commissioners. 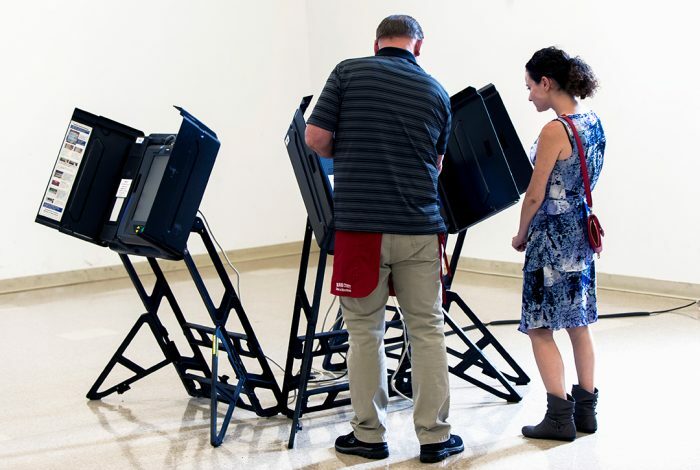 Given the lack of leadership on election security issues at the federal level, the Brennan Center explores how to better equip local officials with the resources (and equipment) to execute secure and interference-free elections. Others are asking if Silicon Valley is up to the task. Executives at companies like Facebook and Google would like to think so — they met behind closed doors to talk strategy. Elsewhere, Texan Crystal Mason has been sentenced to five years in prison for unintentionally casting an illegal ballot in a 2016 election. Mason has a prior felony conviction, but no one had told her that meant she couldn’t vote, underscoring the lack of communication and excessive complication of disenfranchisement laws in many states. Back in North Carolina, Apple is considering a move to Raleigh, but some ask whether the state’s restrictive voter ID laws will keep the tech giant from moving to town. Progressive groups have pushed the company to set its sights elsewhere, but Apple executives are hungry for the local tech talent. Nationally, Democrats have come to rely more on online donations. Digital contributions, by and large through the nonprofit group Act Blue, will likely reach $1.5 billion by the November elections — much of the total represents small dollar donations. Democrats are preparing for battle this November, and addressing voter suppression is their first line of attack. As WhoWhatWhy has consistently reported, efforts to keep voters from the polls have only intensified in the past five years through measures like voter purges, voter challenges, and voter ID laws. The Democrats have struggled to keep up with the onslaught of restrictive measures — which tend to have an outsized impact on people of color in districts that lean left — from Republican lawmakers and statesmen. The upcoming midterm elections will be pivotal to the future of the Democratic Party. Party officials plan to execute a bevy of lawsuits in battleground states like Arizona and Texas in an attempt to dilute the potency of strict voting laws. But issues abound: voter purges in Ohio, eliminating early voting centers in Indiana, removing voters who skipped two or more elections, and voter ID laws in an increasing number of states — all of which keep people from the ballot box. Thirty-two counties in Florida have failed to provide voters with bilingual ballots, leaving many Spanish-speakers unable to cast a ballot — an issue that WhoWhatWhy has investigated. Advocates filed a lawsuit this week arguing that the lack of available materials violates the Voting Rights Act of 1965, which stipulates that the ability to speak English cannot be required of voters. The suit is one among several that addresses controversial practices by Florida Secretary of State Ken Detzner (R). Demos and LatinoJustice PRLDEF filed the lawsuit on behalf of a range of civic groups and individuals. They hope to secure translated voting materials in advance of the November 6th midterm elections. The arrival of Puerto Ricans in the wake of Hurricane Maria has only intensified the need for bilingual election materials — many people have arrived only to find they are unable to exercise their right to vote. New Jersey joins a growing group of states to invest in election security, drawing mostly on the federal funds made available earlier this year. The state is one of several that rely on direct record electronic machines, or DREs, which leave no paper trail. Officials intend to improve both cyber security and physical security while also addressing potential vulnerabilities in voter registration databases, according to WNYC. Moreover, the state will spend a portion of the funds making sure polling sites are wheelchair accessible, as WhoWhatWhy recently highlighted. Election officials in Randolph County, Georgia, suddenly proposed closing seven of nine local polling stations months before the upcoming midterm election, in which Democrat Stacey Abrams has a chance of becoming the nation’s first African American governor. The county is more than 60 percent African American and over 30 percent of its residents live in poverty. The county’s two-person election board — a third official recently stepped down — submitted the proposal in conjunction with a state-hired consultant. Officials have stated these polling stations do not comply with the Americans with Disabilities Act because they are not wheelchair accessible. With limited time to fix this issue, they turned to outright closure instead. However, the buildings were used as recently as the May primaries and statewide runoffs in July. The Georgia chapter of the American Civil Liberties Union points to the county’s demographics as a possible explanation: One of the polling stations recommended for closure is in an area that is 96.7 percent black; the nearest polling station is a three-hour walk away; most residents don’t own cars; and there is also no public transportation in the county. The ACLU has threatened a lawsuit should the recommendation be approved at a public meeting on August 24th. Both Abrams and her opponent, Secretary of State Brian Kemp, have condemned the decision and urged the election board to rescind the proposal before next Friday’s vote. New Georgia Project — a voter registration and education group originally launched by Abrams although she no longer has any formal role with them — began collecting signatures in an effort to block the proposal. State law requires a polling station stay open if more than 20 percent of the registered voters object to its closure. Traditionally, Randolph County supports Democrats. Barack Obama carried it in both 2008 and 2012, and Hillary Clinton defeated Donald Trump by 11 points in 2016. The county could play a central role in Abrams’s election strategy, which focuses heavily on the “new American majority”: progressive whites, Latinos, Asian Americans, and black voters — especially black women. The FBI is investigating a potential cyberattack on a computer belonging to the congressional campaign of David Min (D-CA). This apparent hack follows a Rolling Stone story about the hacking of California Democrat Hans Keirstead. Investigators don’t know who carried out the attack or its intended purpose. As both of the candidates went on to lose their primaries, the breaches expose the major security concerns heading into the midterms in November. Although national parties supply training and security software tools, local campaigns often lack the financial support necessary to prevent an attack or respond effectively. Following the hack, Min’s campaign attempted to hire a security firm to investigate the attack but was put off by the minimum $50,000 cost estimate. The short term nature of an election campaign also doesn’t allow for a full security program to be set up and perfected over time. Thanks to an alert from its internet provider, the Min campaign discovered the attack. His four-person staff then enlisted the help of the software developers who share their workspace — but have no ties to the campaign — to figure out the issue. They discovered software that recorded and transmitted keystrokes, along with software that made the infiltration undiscoverable by off-the-shelf anti-virus programs. What Do Voter ID Laws Look Like in Other States? It isn’t enough for people to expose the vulnerabilities in election equipment nationwide — states need the money to fix them. Such was the lesson from the second annual Voting Machine Hacking Village at the DefCon security conference in Las Vegas last week. An 11-year-old shocked audiences as he hacked a machine at breakneck speed. Some reportedly were close to hacking a voter registration database, too. Nevertheless, some election officials resisted any serious implications of the hacks, arguing that they amounted to unrealistic scenarios of what could reasonably occur on Election Day. Naturally, voting machine vendors agreed. But the lack of funding to address problematic equipment has repeatedly surfaced since the federal government appropriated funds to facilitate security upgrades. This year in Las Vegas, more experts focused on a fundamental problem: it’s one thing to find vulnerabilities, but another altogether to fix them. Few states — many of which have used the same equipment for two decades — have the resources to address the array of security and infrastructure issues. And in Georgia, cybersecurity has gotten political after Secretary of State Brian Kemp (R) rejected federal funding to address vulnerabilities. Kemp saw the funds as evidence of federal overreach into that state’s election administration. He’s now the Republican nominee for governor, and his position on these issues could prove pivotal. Georgia Democrats have both expressed concern about Kemp’s record and called for “immediate changes” to election proceedings in the state. A group of voters filed a lawsuit to push a transition to paper ballots in the upcoming midterm elections — a move Kemp appears unlikely to initiate on his own. Nine people in North Carolina have pleaded guilty to a lesser misdemeanor after being charged with voter fraud — for casting a ballot while on probation. They were not aware they were not allowed to vote. Since in most cases this is simply a misunderstanding — even the North Carolina State Board of Elections admitted the pamphlets they give to felons on voting could be improved — charges are very rarely brought. In 2017, the North Carolina State Board of Elections and Ethics Enforcement opened investigations in 562 cases of felons voting, but just 227 were referred to district attorneys and only 17 of them were indicted. Of those, 12 were charged by Alamance County District Attorney Patrick Nadolski, a Republican. While he says the charges were necessary to preserve the integrity of elections, there appears to have been a race element; nine of the 12 were African-American despite Alamance being two-thirds white. Nicknamed the Alamance 12 by some, there is a concern this will reduce the number of voters within the county: Ebonie Oliver, Keith Sellars, Robert Chase Wade — three of the 12 — have all said they’ll never vote again despite being informed it’s legal for them to do so once their probation is completed. Debbie Smith, 64, a volunteer for Down Home NC — a group which has organized protests for the 12 and traveled the county registering people to vote — has said she’s seen a hesitancy to vote from residents since the charges. Seeing that a simple misunderstanding can lead to a year of unsupervised probation, 24 hours of community service, and over $700 in court-related fees has scared many people away from voting. It’s disenfranchisement by confusion. A new website created by The Campaign Legal Center helps felons maneuver through the legal maze and restore their vote. After answering brief questions on their location, status of their sentence, and specific questions based on state laws, the website informs them whether they can register. If they can’t, it explains their next step, such as contacting the state registrar or connecting with an advocacy group. Having all the information in one place makes it easier for felons to get answers, rather than fighting through legal jargon and endless phone calls to government officials. There are an estimated 23 million felons in America, with 17 million of them eligible to vote. The remaining six million are disenfranchised despite the completion of their jail sentence. Although changes to laws are a must, this website is a great resource for restoring voting rights to felons. It has become a civil rights issue and pivotal in local races as it predominantly affects African-American voters. Making the legal system easier to navigate will go a long way to curtailing this problem. The Iowa Supreme Court reached a speedy decision in a lawsuit brought by organizations and individuals concerned with the details of a new set of voting laws. A judge ruled last week to shorten the state’s early voting period, overriding one portion of an injunction that a lower court issued previously. The order from the state’s Supreme Court only addressed the early voting portion of the injunction, which also addressed requirements to provide an ID number to apply for an absentee ballot and stringent signature matching measures. The new procedures came as part of a much-contested voter identification law that Iowa implemented in 2017, which made a host of changes to election administration. Earlier this summer, the League of United Latin American Citizens and Taylor Blaire, a student at Iowa State University, filed a lawsuit, contending that the law violated the state constitution. The state Supreme Court decision was not unanimous — one justice dissented while another abstained. Many election security experts are wary of voting-by-smartphone — especially when the software relies on blockchain technology. West Virginia is the first state to permit such a system, allowing some voters, by and large people serving in the military overseas, to cast a ballot from their smartphones. West Virginia piloted the program in May, working with a startup called Voatz. Reportedly, third party audits left election officials confident enough to move forward with the option for overseas voters. The convenience is clear, but many doubt that the system can be secured against manipulation. Other approaches, some contend, are simpler. In the Voatz system, the company controls access to the ballot through biometrics. It stores records of ballots cast on a private blockchain, which it then verifies through computers that it controls. Algorithms ensure the data is valid, according to the company. Few cybersecurity experts are convinced. Under pressure to prove that he is serious about addressing cybersecurity threats, President Donald Trump plans to draft an executive order that will impose sanctions on foreigners who tamper with US elections. Trump has faced mounting criticism from both parties after the Helsinki summit, in which he appeared to back Russian President Vladimir Putin’s conclusion that the Kremlin was not behind the hacking of Democratic emails. Confusion could be among the most effective tools for foreign interference, and voter registration rolls among the most vulnerable targets, experts say. By intentionally confusing voters, foreign adversaries can encourage mass confusion about the process to keep people from voting. Changing votes is a much more intensive process than publicizing incorrect information about polling places or causing chaos at the ballot box. Two cases have demonstrated just how effective the tactic can be. Both Maryland and California recently struggled with computer glitches that deleted thousands of voter records. In California, some people showed up to vote only to find out that they couldn’t, inciting not only confusion, but anger. Maryland notified 80,000 people the night before they were to vote that there was an issue with their registrations. Turnout was low in both states. Moreover, targeting voter registration rolls could prove an efficient means to manipulate elections. Something as simple as a name or address change can keep a voter from casting a ballot. Many experts expect that Russia will not only attempt to hack voter registration systems, but use other strategies to spread misinformation about elections. Kansas Secretary of State Kris Kobach has refused to recuse himself from a recount of the primary race for governor that he ran in. Kobach ran alongside seven other Republicans in the state’s primary this week. He secured a majority, but by a sufficiently small number — 191 votes — to call a recount. As secretary of state, Kobach’s office administers elections and recounts. But, despite the apparent conflict of interest, Kobach announced he would not step aside. Critics were outraged by the decision, but hardly surprised — given Kobach’s record on election integrity issues. He co-chaired the now defunct Election Integrity Commission and — despite ample evidence of its shortcomings — has championed Crosscheck, a system used to purge millions of voters from the rolls in several states even though many of them should not have been. Michigan recently upgraded its voting equipment, spending $40 million in state and federal funds. But the new equipment doesn’t meet the needs of blind voters. Michigan is home to 221,000 people who are visually disabled. Equipment that facilitates independent voting for blind voters exists, but the new machines fall short. Unlike the older versions, the keypads on the recently installed models don’t have braille and the audio instructions guide voters to buttons by referencing color, rather than location on the handset. Voters have complained about a lack of privacy with the new equipment, among the many issues that people with disabilities face at the ballot box. A week after the Senate introduced another sanctions bill against the Kremlin for interfering in the 2016 US election, Sen. Rand Paul (R-KY) invited top Russian officials to Washington to discuss critical national security issues. The timing is strange, to put it mildly, given the fevered backlash President Donald Trump faced following the summit in Helsinki — where he seemingly agreed with Russian President Vladimir Putin that Russia did not tamper with the electoral process. Sen. Amy Klobuchar (D-MN) said she fears Russia may have successfully hacked into the US election system, after reports of failed attempts in the past few weeks. “You have 21 states that were hacked into, they didn’t find out about it for a year,” she said in an interview with NBC. With the midterms elections just three months away, Klobuchar has pushed forward a bipartisan bill to bolster the country’s election security defenses. Do the Challenges to North Carolina’s Proposed Constitutional Amendments Have a Chance? Thanks to a recent ruling in the US District Court for the District of Columbia, any group that spends at least $250 in independent expenditures has to report each contributor who gave $200 or more. Independent expenditures are money spent by an organization or individual, usually in support of a candidate, without coordination from said campaign. Often, however, coordination thrives through backchannels and a flexible interpretation of independence. The recent ruling in Citizens for Responsibility and Ethics in Washington v. FEC and Crossroads Grassroots Policy Strategies established standards for disclosure stricter than any enforced in the last three decades. The decision could bring much more transparency to campaign finance and reveal to the public how election influence operates. Sen. Laura Kelly, the Democratic frontrunner for Kansas governor, is under attack from her primary opponents for supporting a controversial voter ID law in 2011 — one championed by leading GOP candidate Kris Kobach, who is the architect of various voter suppression schemes. The bill, which had strong bipartisan backing, imposed a proof-of-citizenship requirement on voters, effective in 2013. Hoisting tough voter ID policies as his signature issue, Kobach, the state’s secretary of state, claimed such measures are necessary to prevent election fraud, but neither he nor other proponents of the law could provide proof of a problem beyond a few scattered examples of registration by non-citizens. In fact, a district judge ruled in June that such stringent policies disproportionately hamstring qualified voters who may forget to bring acceptable documentation. In the three years since the law came into effect, more than 35,000 Kansas residents were barred from registration — an alarming figure for a state with just 1.8 million registered voters. In defense of her initial support for the bill, Kelly said she has always been an advocate for voting rights but wanted to first ensure that the state’s balloting process is secure. She didn’t know that Kobach would so aggressively enforce the law. Senate Republicans blocked a $250 million bill aimed at bolstering election system security as the November midterms near. The initiative would have directed the Federal Election Assistance Commission to provide states grants to upgrade voting equipment and combat cybersecurity threats. Only one Republican supported the amendment, which failed on a 50-49 party-line vote — 10 short of the 60-vote threshold. Congress blocked a $380 million election security grant last month, which was proposed after US intelligence found evidence of Russian election tampering. Republicans said it’s not sensible to allocate more funds to election security before properly assessing how states used the 2018 grant money. Yet with the midterms just three months away, and as reports of foreign interference continue to pile up, the US is in a race against time to protect its voting integrity. The US’s decentralized election administration has plenty of flaws — and cybersecurity is principal among them. A handful of private election equipment companies provide election equipment nationwide, but national standards for security protocol are lacking. The businesses that supply and maintain voting machines and software nationwide have taken advantage of weak oversight: Few have robust or clear security processes in place. Without common security standards, the largely unregulated industry of election equipment has become an easy target for interference. Many companies’ security measures fall short of the standards held by other tech companies, but few avenues exist to enforce stricter requirements. Each state government is responsible for its own election security, which foments a lack of accountability. Despite a significant investment to prevent such activity, Facebook intercepted a “disinformation operation” on its platform this week. The company found 32 pages and profiles that contributed to efforts to sway opinion in advance of the upcoming midterm elections using ads, events, and standard posts. Much of the material hinged on topics like race, mindfulness, and feminism. At least one of the pages was connected to the Internet Research Agency — the organization responsible for the 2016 interference. Facebook removed all of the pages and notified the users who had engaged with the materials. The discovery of the fake accounts follows several months of tightened security measures. But as Facebook has cracked down on such practices, “disinformation operators” have grown more adept and developed new tactics. Many bought ads through third parties and turned toward event promotion — a corner of the social media platform that is less closely monitored and more integrated into a user’s life. Facebook discovered the fake accounts through a combination of investigations, artificial intelligence, and collaboration with law enforcement. With 99 days to go until the midterm election, the electoral landscape is starting to become clearer — and it’s not at all like previously imagined. Initially, many election analysts were predicting the battlegrounds to only be the well-educated, suburban districts that supported Hillary Clinton in 2016. However, the map of competitive races actually seems to be much broader and it even contains some of the working-class and rural districts that constituted President Donald Trump’s base. This is good news for Democrats, as they can start to see a clear path to regaining control of Congress. With many retiring Republicans contributing to the 42 open seats on the map, Democrats stand to benefit from a lack of incumbent opponents. So far, the results have been positive too: The Democrats are ahead in five districts that Trump carried by at least 10 points. Experts are unsure of the reason for this swing but one dominant theory is that a voter’s presidential choice plays a smaller role in determining their midterm vote than previously thought. This is bearing out, looking at the Democrats’ struggle in areas where Clinton was successful: They are tied or losing in many of the well-educated districts she carried in 2016. Although Republicans have structural advantages in many states — such as gerrymandered maps and voter ID laws that suppress eligible votes — the courts may lessen the impact of these: The Pennsylvania Supreme Court, for example, struck down the state’s Republican-created electoral map as it was too gerrymandered; and, last week an Iowa judge blocked portions of a voter ID law. The GOP’s best bet appears to be a campaign that hammers at issues such as immigration and trade to divide the population and drive voters back to their traditional parties. 99 days is a long time in politics, but this far out, the broadened battlegrounds suit the Democrats and could lead to another divisive campaign. More than 20 UK charities and organizations are petitioning the UK government to put a stop to the new voter ID laws tested in local elections in May. In 2018, five council areas required voters to present ID to vote, leading to 350 voters being turned away. In 2017, only 28 cases of voter impersonation occurred. The petitioners are pointing to these numbers as evidence of voter ID laws doing more damage than good. Another issue is that the trials were carried out in areas with very similar demographics, meaning experts are unable to fully judge the impact this will have on minorities. As with all trials of this nature, it’s also difficult to calculate how many people were dissuaded from voting by this requirement. Local news has outlined all the ways that Wisconsin is a battleground for election integrity — and how divisive the issue has become. In the 2016 election, social media played a key role in manipulating voters, and the risk persists. Voting machines in the city of Marinette miscounted votes by a huge margin. Green Party candidate Jill Stein asked for a recount. The state district map was the subject of a Supreme Court case. 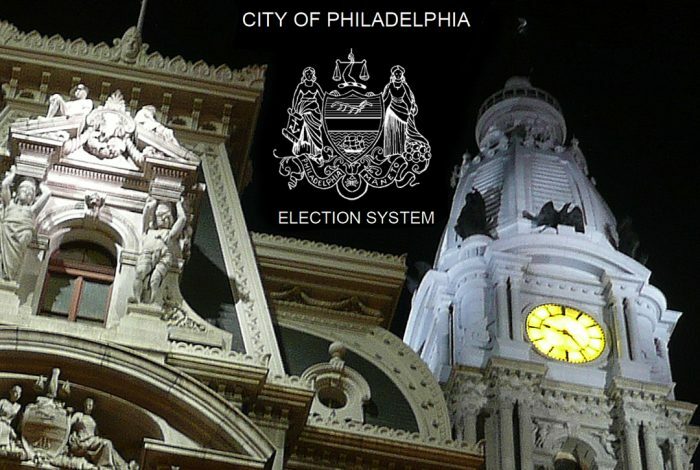 Now, state elections officials are figuring out what to do next. Wisconsin received $7 million in federal funding to address election infrastructure issues, part of which will fund new positions dedicated to cybersecurity at the state’s Elections Commission. In addition, it plans to implement election security trainings and amend its registration system. But their needs are bigger and more numerous than better job training. The state’s election equipment itself is at risk, experts have concluded. Voting equipment is notoriously easy to hack, and few jurisdictions have adequate audit measures. Some see the decentralized nature of election administration as a safeguard against wholesale attempts to manipulate the vote, but others are less sure. Election integrity advocates are pushing for more comprehensive risk-limiting audits like the ones carried out in Colorado, but elections officials have yet to agree on how best to manage the numerous threats. How Is Wisconsin Government Making Elections Secure? The constant conversation about Russian interference in the 2016 presidential election obscures a more substantial homegrown problem, argues a recent article in Slate. While easier, and more dramatic, to focus on the nefarious intentions of an opaque foreign entity, the more significant troubling behavior lies at home. Members of the Republican Party, elected officials, and President Donald Trump’s voter base are all a little bit too comfortable with a blossoming pro-Russia position, the author posits. From congressional visits to Russia on the Fourth of July to an unexpected alliance between the American evangelical right and Russia’s Christian authoritarianism, the connections are growing. Meanwhile, as little is being done to protect future American elections from foreign interference, domestic efforts to suppress the vote intensify daily. Hanging on to the power they currently hold is the first priority for Republicans and Trump’s constituents — not maintaining electoral legitimacy, the piece suggests. Rep. Devin Nunes (R-CA), who is chair of the House Intelligence Committee, expressed his concerns over the security of electronic voting equipment. In an interview he said such equipment was “really dangerous” and “should not be used.” He says the counties he represents do not use electronic systems and is concerned about the lack of paper trail in digital voting. Nunes pointed to the ability to conduct a manual recount, which some electronic equipment renders impossible, as a necessity. Nevertheless, he remains a staunch supporter of Trump. Iowa scored a temporary election integrity victory, with Polk County District Judge Karen Romano blocking three provisions of the state’s new voter ID law: the shortening of the early voting period from 40 days to 29 days, the requirement of an identification number to cast an absentee ballot, and the ability of election officials to reject a ballot based on the signature not matching the one on record. The temporary blocks — which are part of a larger lawsuit filed by League of United Latin American Citizens of Iowa (LULAC) and Iowa State University student Taylor Blair — cover the November midterms, with the rest of the lawsuit being decided after that. Judge Romano’s block also requires Iowa Secretary of State Paul Pate to stop using language in election ads which lead voters to believe ID is mandatory in the midterms. The voter ID law does not come into effect until January 2019. Voters can vote in the midterms without ID by signing an “Oath of Identification.” However, recent advertisements from Pate’s office have been very misleading on this, leading to concerns that many voters will stay home. Internal emails made public Wednesday reveal a concerted effort by Michigan Republicans to aggressively gerrymander the state’s electoral maps. The trove was submitted as evidence by the League of Women Voters of Michigan in a federal lawsuit that alleges GOP legislators unconstitutionally manipulated districts when they swept to power in 2010. In one email, a staffer crudely bragged about wielding the widely deployed tactic of “clustering” or, in his words, “cramming Dem garbage” into just four districts to dilute their voting power elsewhere. In another email, an executive from the Michigan Chamber of Commerce predicted that the gerrymandered maps will help the GOP maintain power for years. The messages contain jarringly blatant examples of foul play: One aide said a Macomb County district is shaped like “it’s giving the finger” to Rep. Sandy Levin (D-MI), while another implied that the drawing of one district may have been dictated primarily by a now-retired congressman. At the same time, the Michigan Supreme Court is deliberating a case that would allow an anti-gerrymander initiative to appear on the November ballot. The measure, if approved, could transfer map-drawing authority from the GOP-controlled legislature to an independent commission. The Michigan Chamber of Commerce is the largest financial backer of efforts to prevent that from happening.